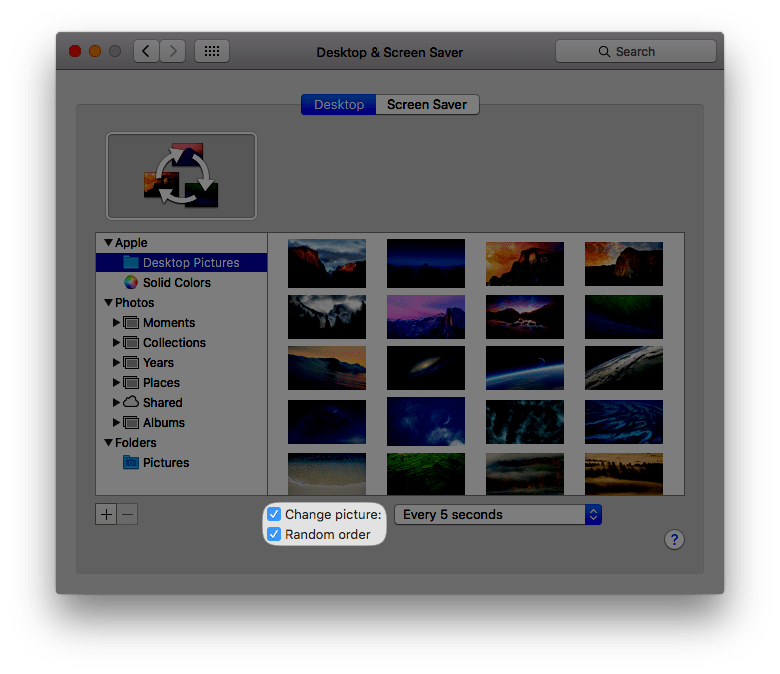 If you are an user with multiple displays for the Mac, you are probably familiar with the fact that you can have different wallpapers for each display. However, have you ever wanted to take that to the next level? Don’t worry, there is a very easy option you can enable to make your wallpaper a slideshow! Follow the steps below to have your Mac wallpaper cycle. Step 1. 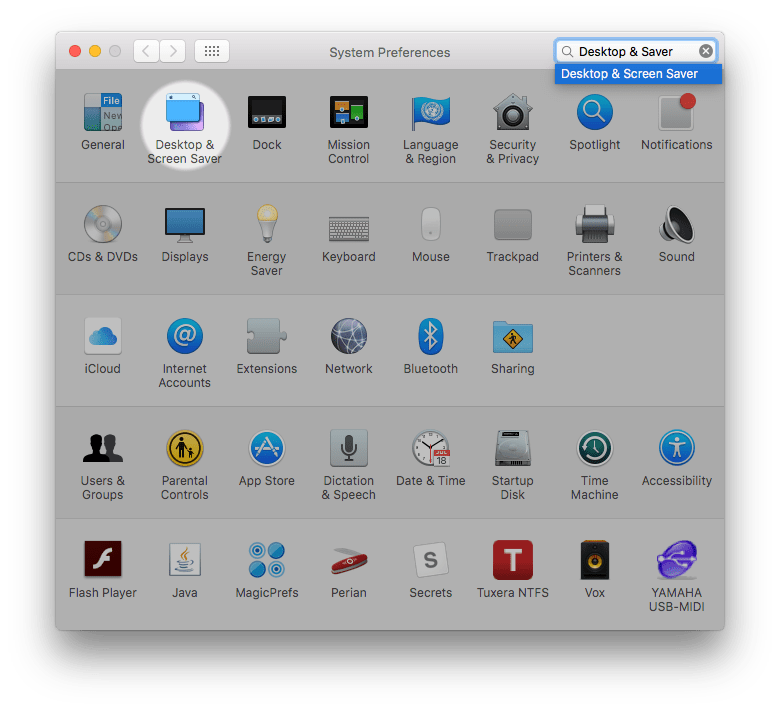 Open System Preferences, and select “Desktop & Screen Saver”. Step 2. Select the folder you want from the sidebar then enable “Change picture:”. If you want the pictures to change randomly, select “Random order” Step 3. Beside “Change Picture:”, there should be a drop down menu. You can choose a range from every 5 seconds to every day. 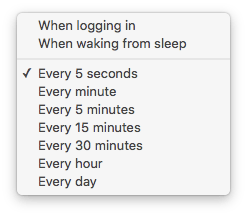 You can also select “when logging in” or “When waking from sleep”. Select you option you like best. And that’s it! Your wallpaper can now cycle through the folder that you selected. How did you like this Quick Tip? Let us know in the comments! And don’t forget to follow us on social media for the latest updates on our website!